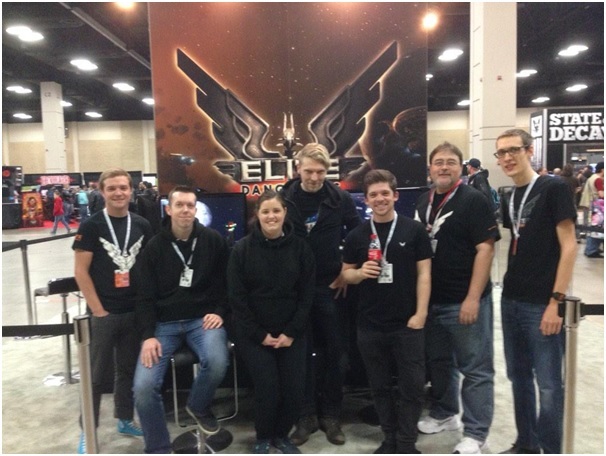 So here's the PAX South Elite Dangerous team after the con closed for the day. Today was busy. We had a line of roughly 40 most of the day. 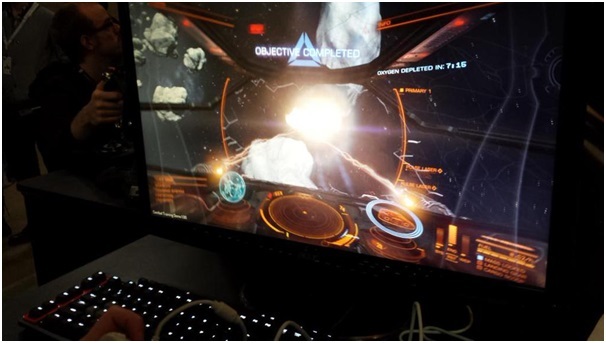 And with 4 Oculus Rift going, one 4k monitor, and two 1080p monitors, we kept the line moving. 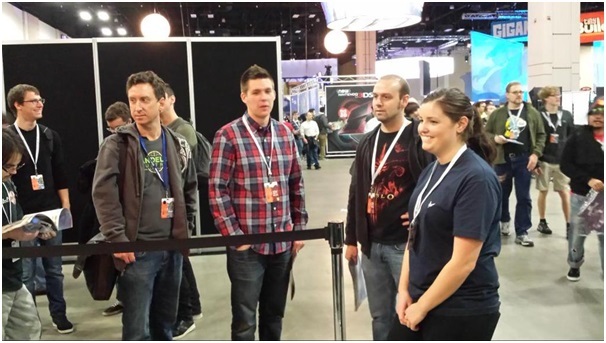 Obviously, everyone really, really wanted to play the Rift. This was during Media Hour, the hour before the con opened. Certain media had appointments to come and talk with the Frontier PR guys and get some trigger time. Here’s Ali looking after the queue. Mike, chatting up the game with one of our enthusiasts. One of the cosplayers. 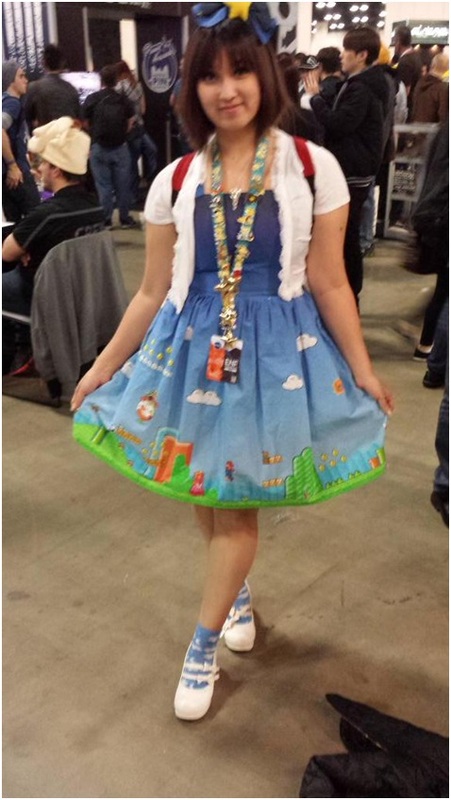 Neverending Mario level on the hem of her dress. This was the closest battle I've seen. He had his canopy blown out while the opponent was still around 25% hull and his was at 6%. He buckled down for the next 3 minutes and fought like hell. No HUD targeting, oxygen slipping away, eventually took him down to 6% and himself at 4%. Then 6 and 2. Then 4 and 2. Then 2 and 2.... and I took the pic initially hoping to get the 2 and 2 readout, but instead got the killing shot by the new Commander who fought tooth and nail to survive deep space. 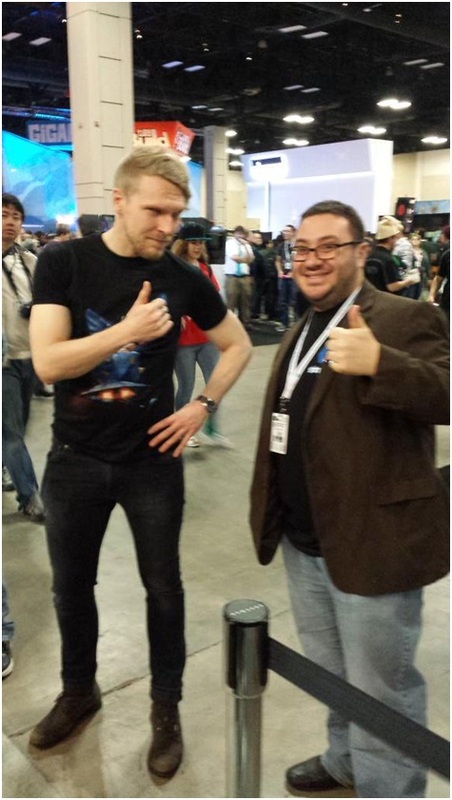 And he was happy of the win, and wants to buy the game. 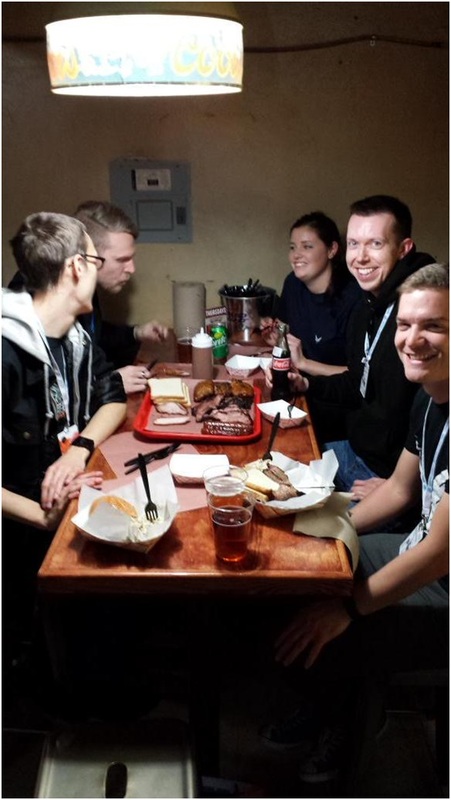 Dinner at a hole-in-the-wall BBQ. And wow, was it good. 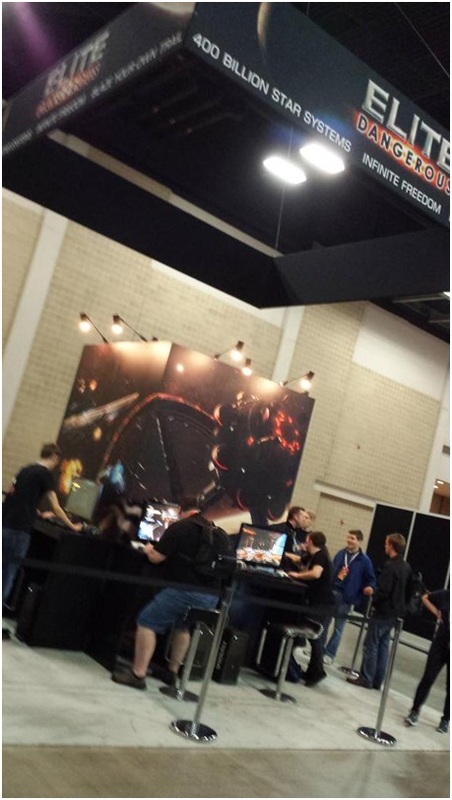 Edward wasn't there as he had a PAX thing he really wanted to attend after hours. We have some leftovers which will be great for lunch Saturday.